Arsenal Capital Partners is a NY-based private equity firm investing in the middle-market. 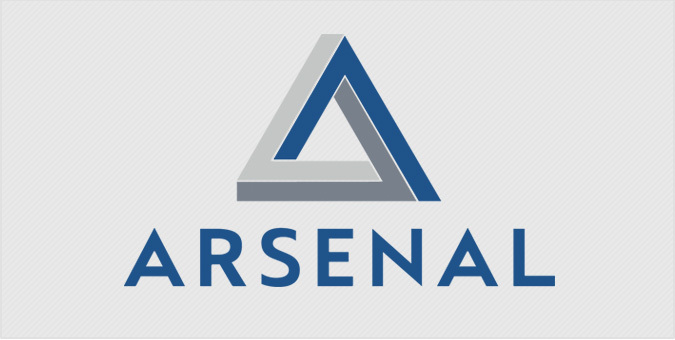 Arsenal focuses on specialty industrial and healthcare companies, with a systematic and repeatable approach to building strategically valuable companies. Arsenal Capital needed a new image to drive it forward. Jake created a modern logo with depth – a stylized ‘A’ and triangle that represents the intersection of their operating, investment and industry expertise, along with a new business package. With an strong, impactful logo to lead the way, a branding guide for direction, sleek business cards to share, and an impending website redesign, Arsenal’s new brand has allowed it to tell a compelling story to LPs and entrepreneurs alike.